It's finally time for WII gamers to experience one of the world's most popular and sometimes number one golfers, Tiger Woods in Tiger Woods PGA Tour 07 that once again revolutionizes the world of gaming golf, especially with the added interactivity and features of the WII. For those who have been living in a Himalyan cave, Tiger Woods allows players to either play a young Tiger Woods or create their own golfer to tour with the world's bests in an attempt to become a golfing champion. So what is Golf? Golf is a game believed to have been first played in Scotland, where each player has to hit his own small ball into a hole using various types of clubs. The club is swung at the motionless ball on the ground from a side-stance. Score is kept (a count of the number of strokes required) with the smallest score being the best. The control system of this latest gold game on the WII uses the WII remote to simulate a golf club which works marvelously on the console. Similar to WII Golf, there is a meter that tells you how much power you have put into your swing which is determined by out fast you move. The other buttons are used to determine a variety of actions such as directions, clubs and the like. Needless to say, a perfect gaming experience! Fortunately there is an in-depth tutorial mode that will explain the control system to the gamer and once you have mastered these lessons, you will soon be ready to take on the world's greatest golfers. 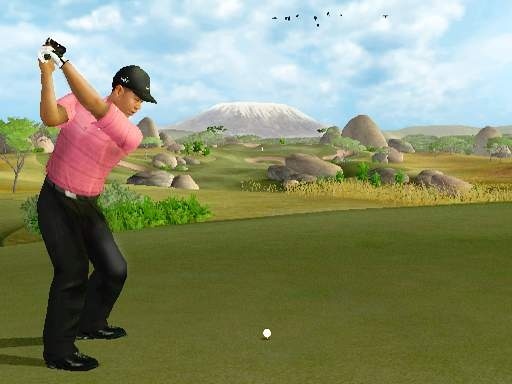 Graphically, Tiger Woods 2007 looks a little dated when compared to the PlayStation 3 versions with sparse background environments, however detailed characters and animations. The golfers themselves have quite detailed faces but once again their clothes are a little lacklustre but all in all, a job well done. 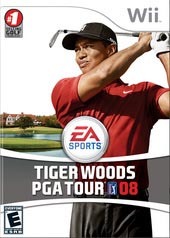 In conclusion, Tiger Woods PGA Tour 07 is definitely one of the best golfing games on the market which features almost perfect gameplay, amazing graphics and some of the best damn golfing fun that I have had on a console in a long time. It's also a great party game, especially with the WII control system.